Includes recessed rope holder, nylon rope. 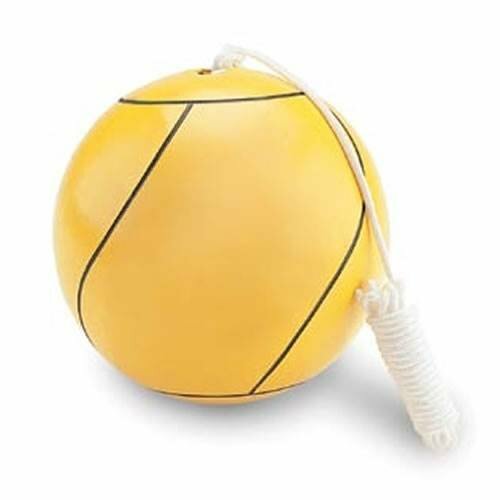 Ultra-cushioned, sponge rubber construction yellow tetherball. 1-Year manufacturer's warranty. Ball for the tetherball systems TBP-275R, TBP-250 and TBP-200. Ball for the tetherball systems TBP-275R, TBP-250 and TBP-200.